The Joint Vienna-Area Postdoc Meeting was held on November 15, 2018, at IST Austria. 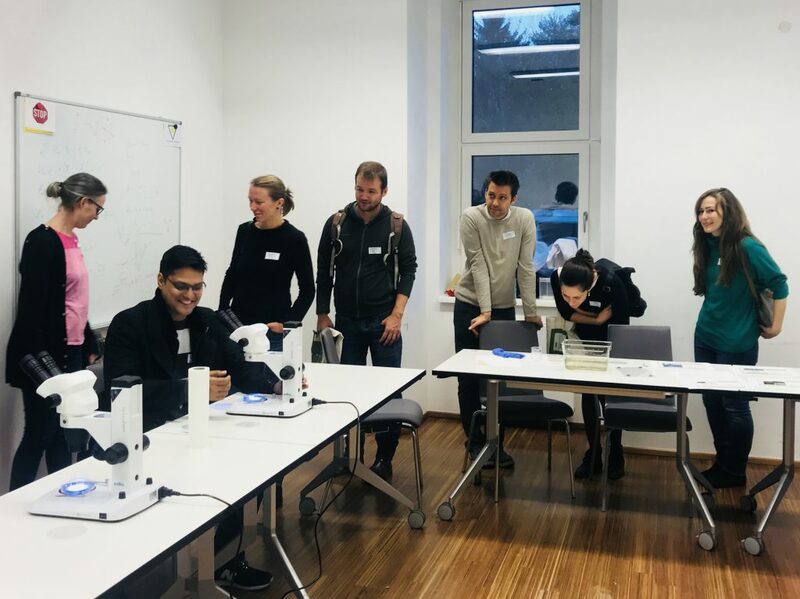 Organized by the Institute’s Postdoc Association, the one-day meeting brought together postdocs from the Vienna area to foster collaborations and the exchange of ideas. A total of 40 scientists from Vienna-based research institutes such as the Research Institute of Molecular Pathology (IMP), the Gregor Mendel Institute of Molecular Plant Biology (GMI), the Medical University of Vienna, and the University of Veterinary Medicine Vienna visited IST Austria and got to know the facilities offered by its scientific service units. Visitors also had the opportunity to go on guided campus tours, which focused on bioimaging, electron microscopy, nanofabrication, super-resolution microscopy, and model organisms. The postdocs also discussed budgeting and careers, and at the end of the afternoon, hiked up to the nearby Redlinger Hütte for dinner and a get-together.